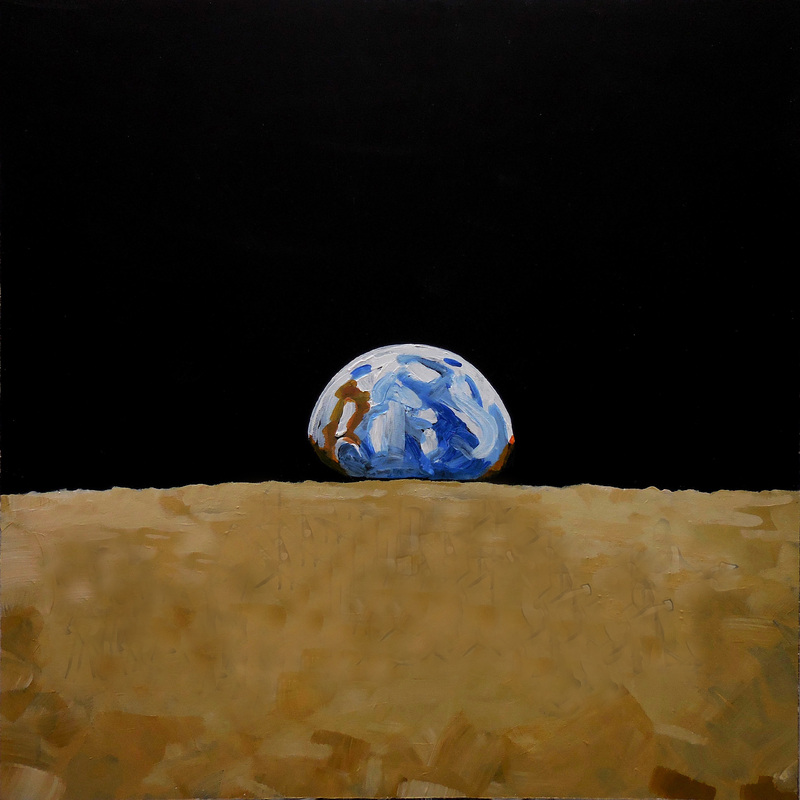 March 2019 – Breaking News! Oshawa’s historic Jubilee Pavilion has truly become home base for Little Caesar and the Consuls and The Par Four over the past few months. Both bands have enjoyed performing for dances and events at this beautiful dance pavilion for decades. Now as a follow-up from our SOLD OUT February Valentines event we are excited to invite you to our SPRING REUNION DANCE. Tickets for this event are selling fast. Once again it promises to be another fabulous evening of dancing to the music of both bands. 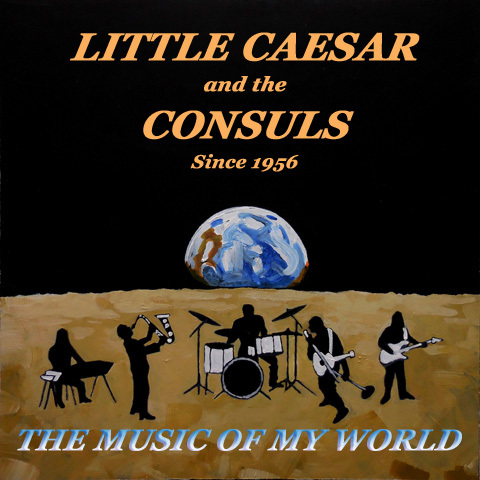 During this upcoming dance Little Caesar and the Consuls are thrilled to be releasing their brand new studio recording entitled The Music of My World. This album features a compilation of new original tunes plus new versions of two of the band’s previous iconic hits: “If….I Found a New Girl” and “Hang on Sloopy”. New CD’s will be available for purchase. We look forward to seeing you on the dance floor….you just never know who you’ll dance into. We hope everyone had a safe, peaceful and wonderful Holiday Season. As you read this newsletter, Christmas and New Years Eve 2018 will have come and gone with all the ornaments, decorations, bells, whistles and noise makers packed away for another year. Talking about the new year, this is what we have lined up for you as it unfolds…. another tag team event. 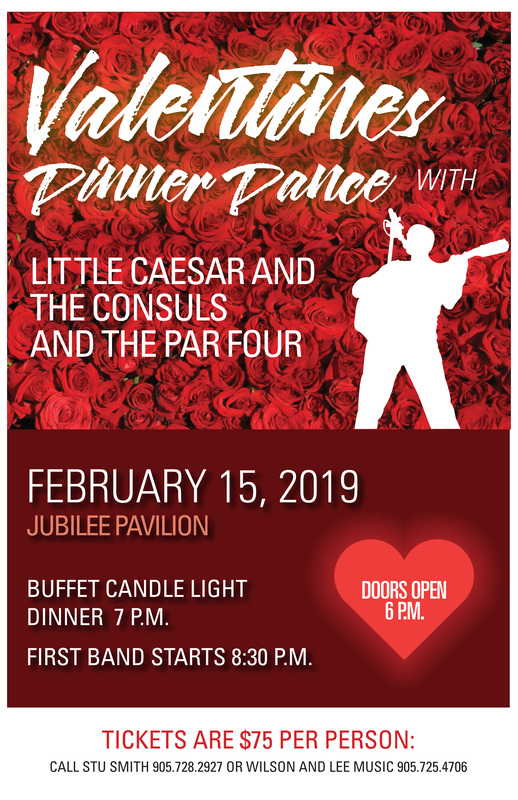 Little Caesar and the Consuls and The Par Four invite you to treat your special someone to a beautiful night of memories and music complete with a candle light dinner to celebrate Valentine’s Day on Friday, February 15th, 2019 at the Jubilee Pavilion in Oshawa, the best dance floor in southern Ontario. Doors open at 6 p.m. with dinner at 7 p.m. followed by non-stop dancing to the two bands. You will want to get your tickets early as this event is sure to sell out quickly. Details and where to obtain tickets is outlined on the poster below. So there you have it. We look forward to seeing you. The Harvest Moon Dance held at Oshawa’s Jubilee Pavilion on Friday, October 26th, 2018 was absolutely magical. What a fantastic night it was! SOLD OUT!! 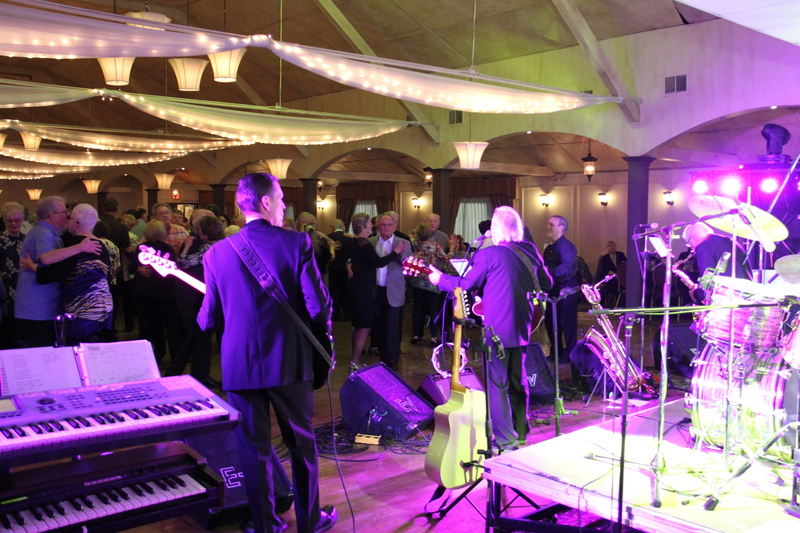 – with a capacity crowd of more than 300 in attendance, dancing and enjoying the music of Little Caesar and the Consuls (since 1956) and The Par 4. 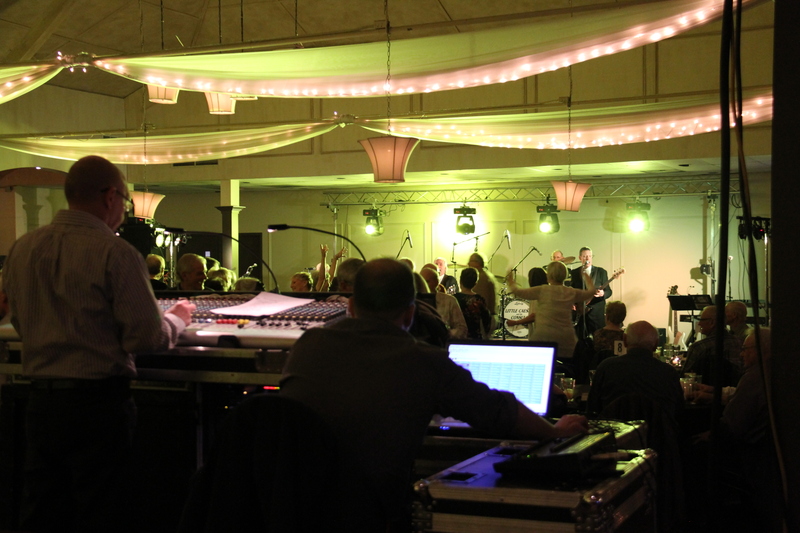 A beautiful historic dance hall, good people, good food, pro sound & lighting, and the two bands were the ingredients that contributed to a great evening. A very special Thank You to all those behind the scenes who helped to make the evening amazing. We also thank special guests Greg Brown on keys, Lamar Dodsworth on tenor sax and former Caesar bass player Sam Carothers who together with our drummer Phil Strong performed a couple of great old tunes…Georgia on My Mind and Rockin’ Pneumonia. The foursome had a band many years ago called “Now and Then”. Thank you to Ray Bilsky for videotaping and Greg MacLeod for the photography… See PHOTOS page. With the arrival of winter we now direct our thoughts to the Holiday Season. We take this opportunity to thank you once again for your continued support of live music and Canada’s longest running rock and roll band. We wish each and everyone a very Merry Christmas and Happy New Year. 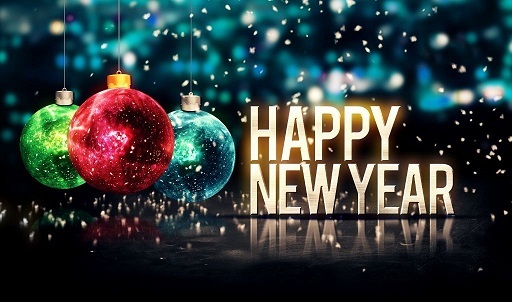 We look forward to seeing you in 2019. Summer isn’t really officially over yet, but here we are into September. The CNE has wrapped up for another year, Labour Day Weekend has passed, and students are back to school, university, college or what have you. Remember the Pink Floyd song “Another Brick in the Wall”……lyrics something along the lines of “we don’t need no education…..teachers, leave them kids alone”…great band, great tune. Pink Floyd are still out there touring and making music and so are a lot of other artists including Little Caesar and the Consuls. 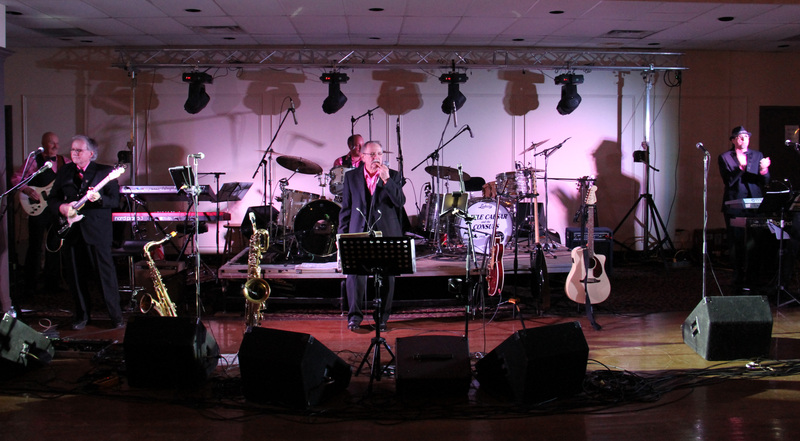 Of course our gigs are not quite the level of Pink Floyd, but that’s o.k. Our journey, as we say, continues and we’re all having fun along the way. October will be here soon so we want to give you a heads up early and tell you that we are returning to Acton to perform at the Acton Town Hall on Saturday, October 20th, 2018. Details regarding the event are outlined on the poster. We love playing Acton and the dance sells out quickly so we would recommend you reserve your tickets early. It promises to be a fantastic evening as we strive to keep you on the dance floor. 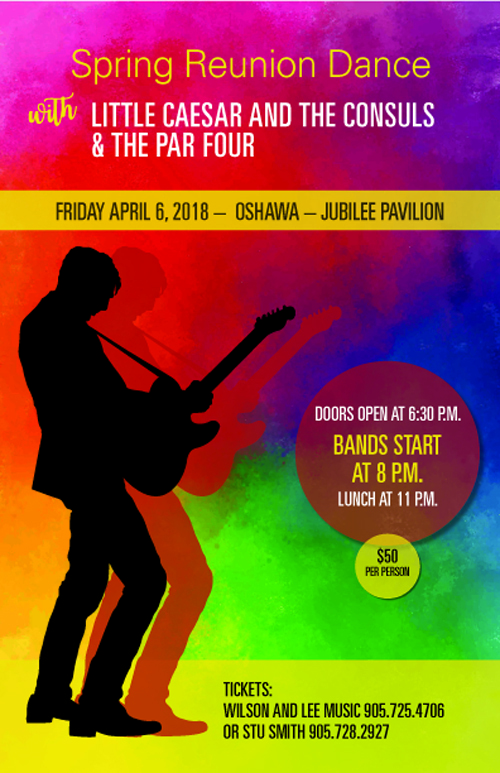 Tickets $30.00 per person and available through www.actontownhallcentre.ca – An evening of rock ‘n roll and a fundraising event for the Acton Town Hall Centre. 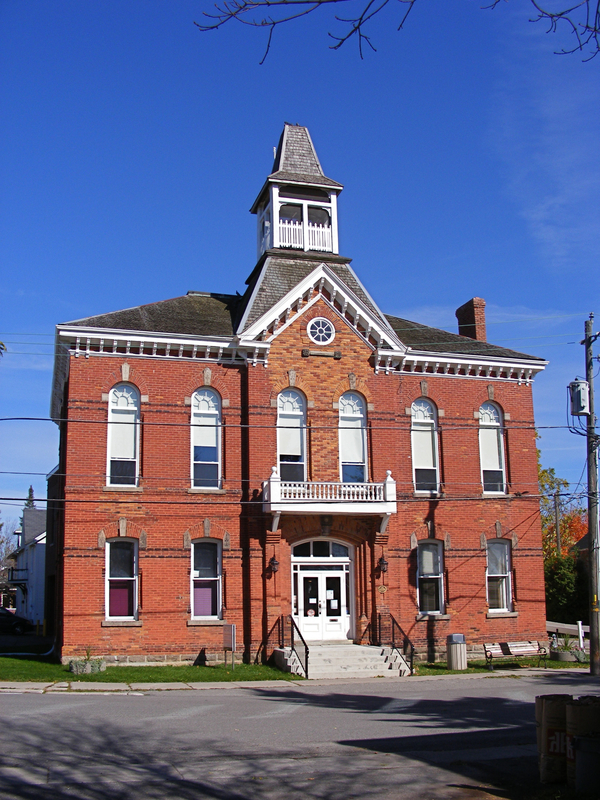 You have to see this beautifully restored Town Hall to believe it. Kathy and Bill Sanford and their crew are wonderful hosts. Door Prizes, Cash bar and food as well. See you there. 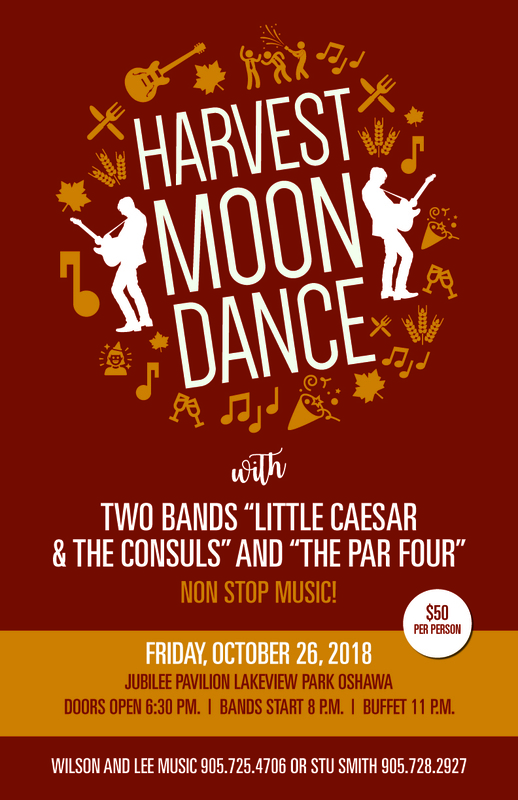 We’re back……..the Jubilee Pavilion Lakeview Park Oshawa proudly announces the return of Little Caesar and the Consuls together with the Par 4 for an evening of non-stop dancing on Friday, October 26th, 2018. The evening is entitled “HARVEST MOON DANCE”. See details on the poster regarding the event. Tickets from Wilson and Lee Music Store, Oshawa (905)725-4706 or Stu Smith (905)728-2927. 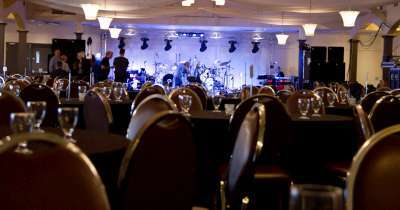 Two bands, cash bar and nonstop music starting at 8 p.m. and buffet at 11 p.m. Tickets $50.00 per person. Doors open at 6:30 p.m. See you there. It promises to be a fantastic night. Get your tickets early. So there you have it for now. On the floor out the door! Well, Summer is definitely here! Remember the The Lovin’ Spoonful’s “Summer in the City” released July 4th, 1966? Written by John and Mark Sebastian and Steve Boone, it reached #1 on the Billboard Hot 100 in August of 1966 for three consecutive weeks. What a band! What a song! – It became a gold record and is ranked as one of the 500 Greatest Songs of all time on Rolling Stone. The song had a series of VW car horns during the instrumental bridge and ended with a jackhammer sound in order to give the impression of the sounds of summer in the city. I believe it was mentioned in earlier newsletters that Little Caesar and the Consuls opened for The Lovin’ Spoonful at Massey Hall in the early 60’s. “Do You Believe in Magic” is one of the songs in our set list and we have contemplated adding a couple of other Lovin’ Spoonful tunes as well, like “You Didn’t Have to Be So Nice” and maybe “Did You Ever Have To Make Up Your Mind”…..we shall see. Certainly worth tossing around at our next rehearsal. the Jubilee Pavilion on Friday, October 26th, 2018 with the Par 4. Details on these events and how to obtain tickets will be made available on our website. We suggest you get tickets early as both events have been known to sell out…..real fast. Some nice email comes our way. Here is one sent to Stu Smith, lead singer of the Par 4 and organizer of the last Jubilee Pavilion dance. Was together with our dance group last night and everyone raved about the event you put on at the Jube. Most had not been to the Jube in over fifty years, some had heard of it but had never been there. It sure is a grand old dance hall. Little Caesar and the Consuls and your band Par Four put on quite a show. I must say the food was excellent as well. I was happy that everybody agreed with our choice of tables. It appears that our group is looking forward to a repeat in October. I’m sure you will be in touch with us in due time. Many thanks to you and your wife Stu and all who made this night possible. 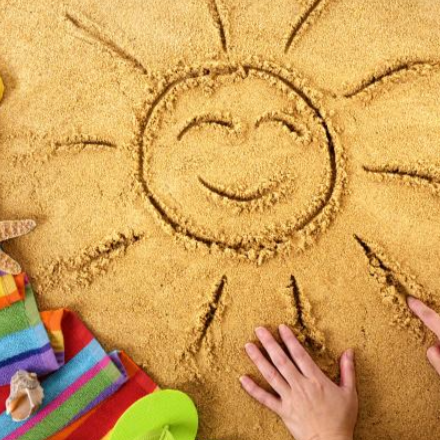 Have a wonderful summer. Best regards – Bob, Stella and friends. This poster can be downloaded as a PDF here: harvestposter, to help spread the word. As the late Skip Prokop from Lighthouse sang in his song.… ”Sunny Days, Oh sunny, sunny, sunny days, Ain’t nothin’ better in the world, you know”. 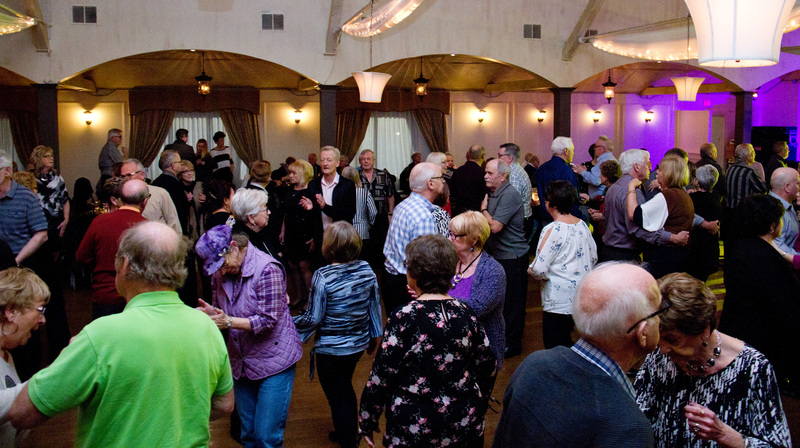 Our April 6th Spring Reunion dance at the Jubilee Pavilion in Oshawa, Ontario was a huge success. So successful, we are pleased to report that the event was completely SOLD OUT. Our good friends The Par Four from Oshawa teamed up with us for a rockin’ good nite of music from the 50’s to the 2000’s. Now that covers a lot of eras – non-stop dance music from 8 p.m. to midnight. With Martin’s opening challenge “On the floor, or out the door!”, followed by our first number SEA CRUISE, the dance floor filled quickly as the evening came alive. Our first set finished with a new arrangement of “My Girl Sloopy”. Then Par Four hit the stage for their first set with John Paul Young’s “Love is in the Air”, a great tune. Lots of dancing, autographs to sign, picture taking, chats with long time friends and supporters of both bands and some tasty food prepared by the Jubilee staff made for an incredible evening. To close out the night both bands came on stage to play SHOUT to a raving audience who didn’t want us to go home. One must not forget to thank Dave Smith, Bret Baker and Chris Newman who provided stage setup sound, lighting and recording, thanks guys. For more pictures of the Jubilee event, skip over to our PHOTOS tab. The staff at the Jubilee have asked both bands for a return engagement on Friday, October 26th, 2018 entitled HARVEST MOON. Mark it on your calendar. 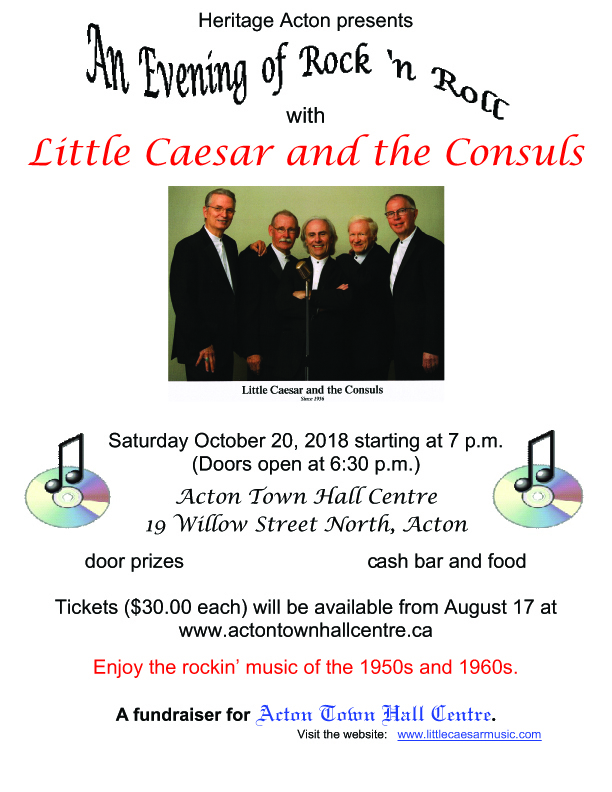 A reminder that Caesar will be performing at the historic Acton Town Hall, in Acton, Ontario on Saturday, October 20th, 2018 for another great evening. Our dear friends Kathy and Bill Sanford will be providing more details as they become available. The beautiful Acton Town Hall is one of our favourite venues to play. As they say “It’s worth the drive to Acton”. Come on out. Details for these and other upcoming events will be forthcoming and posted on our website. On another note we extend our heartfelt condolences to Sandy Semkiw and family with the recent news of the passing of her husband George . 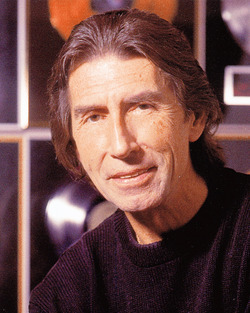 George was a very good friend of our band for many years and an incredibly talented sound engineer. He was a guitar player with Ritchie Knight and the Mid-Knights back in the 60’s and of course we all recall their release of “Oh Charlena” which charted #1 in Canada. In fact, George started the Mid-Knights back in 1959 when he was still in high school (Toronto’s York Memorial). 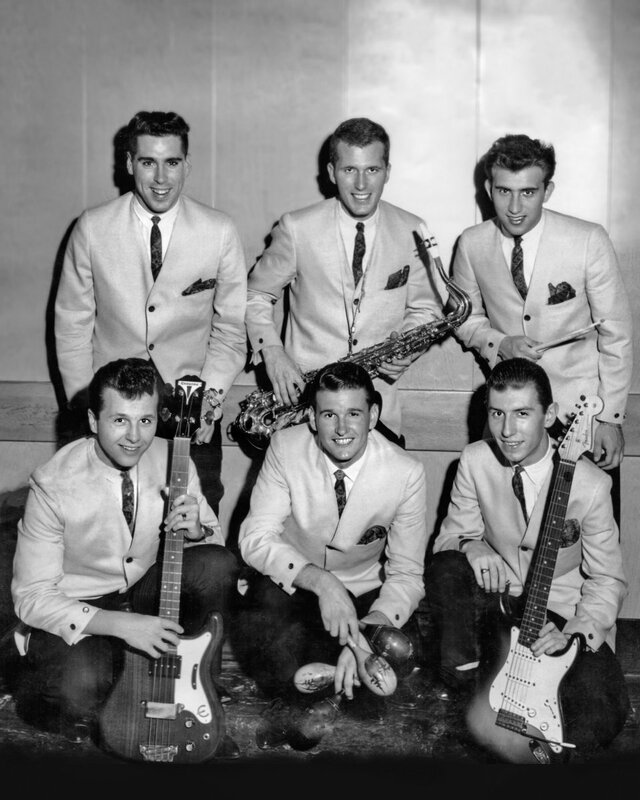 Ritchie Knight and the Mid-Knights – George Semkiw lower right. As we have said in previous newsletters the five of us continue to rehearse record, perform, share memories and tell tall tales. Stay in tune with us. We look forward to seeing you soon! 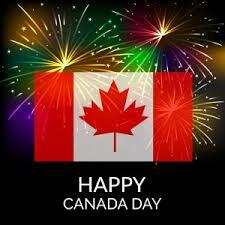 Have a safe and glorious summer. 2018 is here and the month of January has already come to a close. February and March will also be here and gone before we know it, and April fast approaching. As we experience this winter’s record breaking temperatures, we should now channel our thoughts to what’s in store for SPRING. 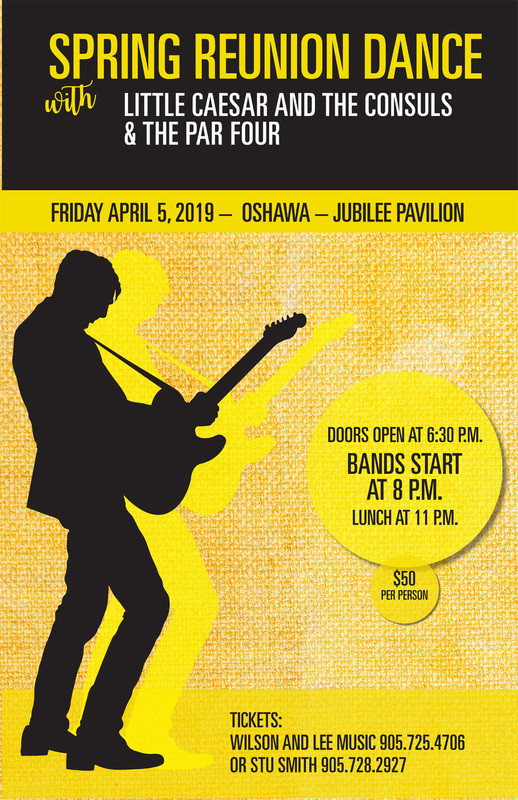 – on FRIDAY APRIL 6th, Little Caesar and the Consuls, Canada’s longest running rock and roll band, will be teaming up with Oshawa’s legendary Par 4 band at the Jubilee Pavilion at Lakeview Park in Oshawa, Ontario. 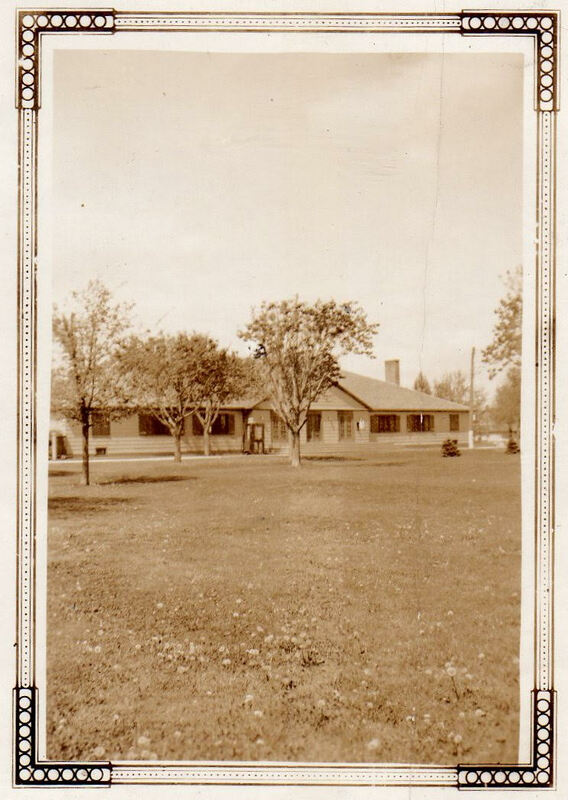 “The Jube”, as most people refer to it, first opened on July 1st, 1927. 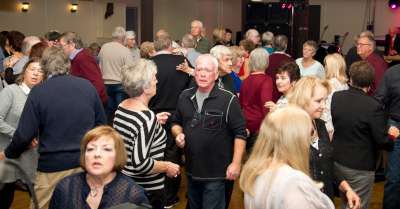 Now 90+ years young, it is one of the very few dance pavilions still remaining in Ontario. 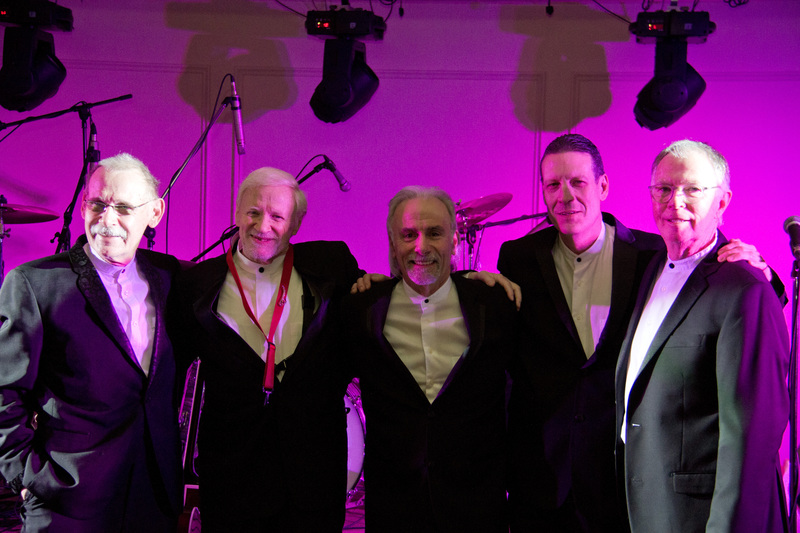 It’s long history has welcomed to the stage music ranging from Big Band (Art Hallman and his Orchestra) to rock and roll bands (Little Caesar and the Consuls, Robbie Lane and the Disciples, the Lincolnaires, Oshawa’s Par 4) to name a few, plus Country and Western acts like King Ganam. For those that frequented The Jube, you will remember the gleaming maple dance floor. Musicians may remember the office walls of manager Owen McCrone were covered with framed photos of famous bands. 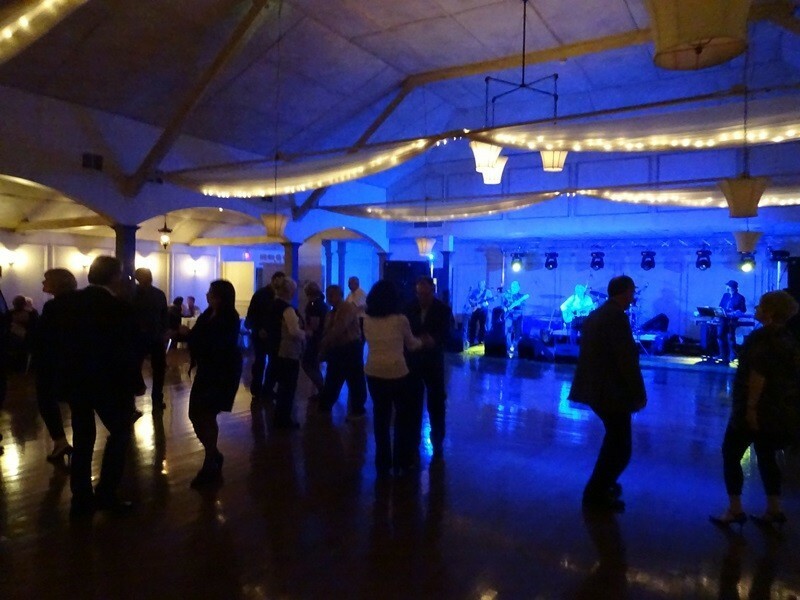 We loved playing there and regarded it as one of the best dance halls in southern Ontario. Please join us for what promises to be a night of good times with nonstop dancing to two bands, starting at 8 PM in a great dance hall where the music will stir your memories. BANDS START AT 8:00 P.M.
Tickets are selling fast. To avoid disappointment get them now. Dance under the large mirrored globe that still sparkles over that maple dance floor. We look forward to seeing you. On the floor, out the door!